Can be found near the gates of Ahn'Qiraj, or in the un-instanced zone south of Silithus. Just got my rare which is green w/red stripes at about 7.40 pm server time. Been about my 5th time ahn'qiraj & proly spent mmm maybe 2 - 3 hours at it. I also have a purple w/ blue & a another green w/ red, but it's colors are more intense. I went round and round Silithus for ages, they came common or uncommon no problems but no rare. Finally went into the ruins and found some sidewinders. They were one pet battles so it was easy to kill those and wait for a respawn. It worked!! Got my rare. Omg.. FINALLY got a rare after about 10 hours of farming two different servers for a week. Came as a second with a Rock Viper. Caught mine inside the uninstanced raid of Fallen Kingdom flew around for an hour only one spawned and it was grey. I got an uncommon from battling a Scorpid... it joined the battle. So if you're trying to collect all possible colours of beetle amongst your pets, those are the two (or three if you don't buy TCG pets) you'd want to go for. 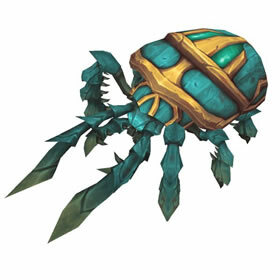 The remaining colour, blue, is also used on the Tol'vir Scarab. Sadly there are two other colours that don't seem to be available on any battle pets: dark teal/black with purple spots (like npc) and teal with blue spots (like npc). Definitely are not secondaries to beetles only. 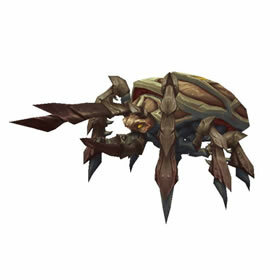 Found them as secondaries to every primary battle pet in Silithus, although they were slightly more uncommon than other pets perhaps. Just got my Scarab Hatchling <rare> passing over AQ, saw six others on the ground after i cap'd mine. 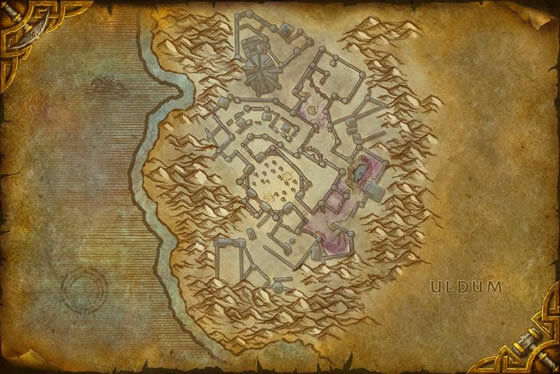 Can be directly found only by the gates of Ahn'Qiraj and in the "Lost Kingdom" (uninstanced AQ zone). In the latter the battle pets don't have any company, they fight alone. You should also search in the mountains around, there are also some pets hidden. 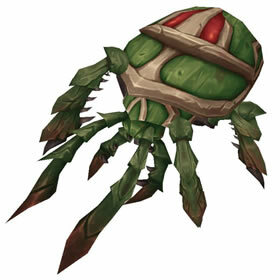 Best way to farm the Scarab however is waiting for him accompany other pets. That way I finally got my rare one. Flew around the ruins. Didn't see any so I started fighting some sidewinders, and they started popping up after that. I got 5 before a rare in about 6 minutes. Most were around what would be the area of Buru and Ayamiss the Hunter if it was actually the instance. Just want to confirm the below commentor, I caught a blue colored scarab (blue skinned, not a rare, he was sadly common) and he does indeed change color everytime you summon him! Neat! Got a "blue" Level 15 one at Silithus - changes colour - summoned a few times and got all 4 alternate Skins. (Blue/Gold took some time to appear). Had a "green" before - that one DID NOT change colour. Seems that only the "blue" ones have the ability to change colour when summonend. Watched this with other pets too. Battle everything in the zone, almost every one I saw was the 2nd or 3rd in line. I flew around the AQ ruins for about thirty minutes and only found four of these little felllas. The best I could do was an "uncommon", but that'll do for now. 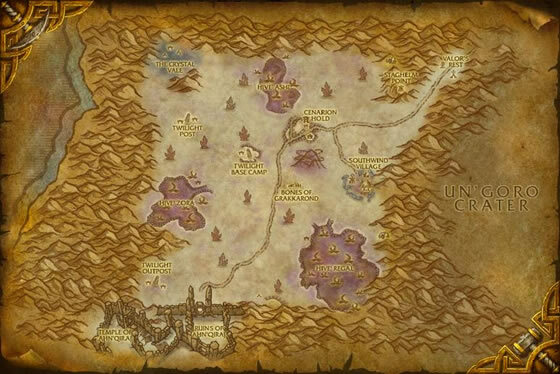 They were further within the ruins and not along the edges like WoWhead suggests. 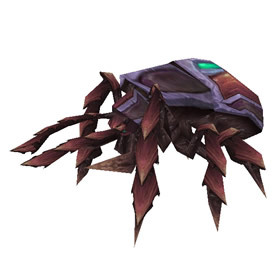 Spawn of the nefarious Shrieker Scarabs of Ahn'Qiraj, the hatchlings are much more docile (and quiet) than their parents.